Are There Legal Opium Uses? Opium, a derivative of the poppy plant that is widely grown in Afghanistan, is a powerful substance that can evoke euphoria and calmness in the user after just a single administration of the drug. Although Afghanistan is the largest opium producer in the world, fields of the poppy have also been cultivated in Mexico and other areas of the world. There are no current legal opium uses in America but other derivatives of this plant are widely used in the production of medications such as the powerful painkillers that are prescribed readily throughout our society. Codeine, a white crystalline substance that comes from the opium poppy, is a legal drug that is widely prescribed to patients for the treatment of moderate to severe, and sometimes even chronic, pain. According to Norris Cotton Cancer Center, Codeine is an opioid medication that is often mixed with acetaminophen. Medicinal uses for opium derivatives have existed for many years now with the earliest uses of opium being to evoke sedation and analgesia. Morphine is also derived from this plant and widely used to treat pain. Opium is not a legal substance, though some of its derivatives are. Many semisynthetic opiates are also legally used in the United States; Oxycodone, Hydrocodone and Hydromorphone all contain subparts of the opium poppy such as codeine, morphine or thebaine. Each of these drugs has profound medicine uses and is used throughout the healthcare industry to treat patients who suffer from various levels of pain associated with chronic illness, injury or disease. Most of the world’s opium is illicitly used by drug addicts. Heroin, opium, and even the legal versions listed for their medicinal properties above are often abused by drug users to produce euphoria, sedation, relaxation, and analgesia. Illicit use of opium drives a mass market in Afghanistan where crop production of the opium poppy has taken over many farms and land areas where self-sustaining crops that would provide food to residents of the country could otherwise be grown. According to the American University, as a result, the illegal trade of poppies has led to a decline the civil society which is now responsible for armed conflict around the world. 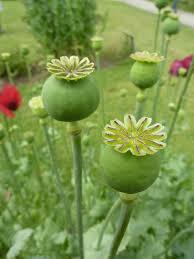 The US Controlled Substance Act defines opium poppies as Schedule II narcotics. This means that opium poppies are illegal in the US and that there are no legal opium uses. However, poppy seeds are commonly found in bakeries and food stores, poppy pods that have been dried are often found in flower arrangements and other uses of the poppy plant can be seen randomly scattered throughout the US. Likewise, there are no legal opium uses except for when the drug is legally refined to create medicines that are later prescribed by a doctor and taken by the patient according to the prescription. What are Synthetic Opiates? - A variety of commonly used medications are opium-based, such as Codeine and Morphine. These drugs can become very addictive. To cure addiction, drugs such as Methadone are prescribed.